All Asphalt & Seal Coating, Inc.
Young Swenson and Cross Paving, Inc. Comment: Partial replacement of entrance Road and minor repairs.. Comment: I want to install asphalt my drive way. it is approximately 12 feet wide and 50 foot long. I just want to make it better looking and easier to drive on. I would even consider putting down asphalt millings. Comment: Crack Fill, Seal Coat and re-stripe front parking area. Comment: I have water running into the driveway from the street from either heavy rainfall or overflowing irrigated properties up the street. This causes water to run into the driveway and covering my walkway and leaving standing large puddles. Dynamite Paving & Sealcoat, Inc.
Avondale Paving Contractors are rated 4.72 out of 5 based on 43 reviews of 8 pros. 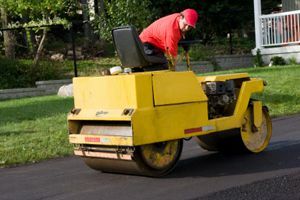 Not Looking for Paving Contractors in Avondale, AZ?